Michael began his love of painting while studying Wildlife Management at Montana State University. As he would walk the fields and streams, he began to feel the beauty around him and was moved to capture these images in paint. Michael moved to Minnesota in 1983 when he was accepted to study painting in the tradition of Classical Realism. Michael spent two years studying in the Atlier programs. 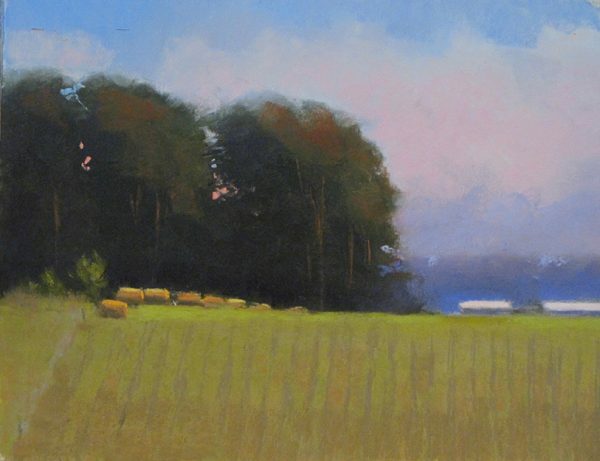 Currently Michael can be found painting the farms, landscapes and river valleys of the Midwest. His frequent trips to the Rocky Mountains have furthered his love of Plein Air painting. He brings his sketches from the field, back to his studio in White Bear Lake, MN where he continues to work into each piece until he has captured the essence of the landscape. His works in oil and pastel can be found in galleries and private collections across the country.